It is part of the seven deals it signed with maritime partners. 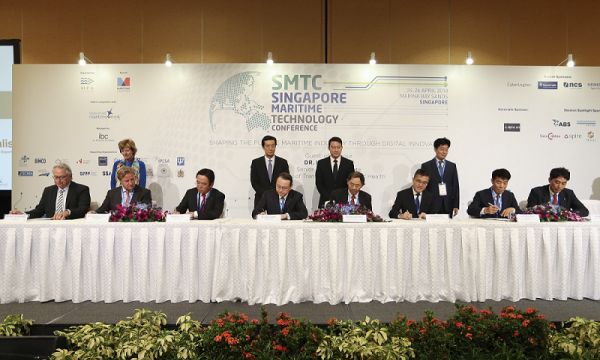 The Maritime and Port Authority of Singapore (MPA) has inked five memorandums of understanding (MOUs) and two agreements with local and international partners at the Singapore Maritime Technology Conference (SMTC). Penta Ocean (Japan), Hyundai (South Korea), and Boskalis (The Netherlands) signed an agreement for the Tuas Terminal Phase II development worth $1.46b (US$1.1b) at the conference today. “With Phase I well underway, this second phase of development will increase the total port capacity by another 21m TEUs by 2027,” MPA said. The agency noted that the works under Phase II include the design and construction of 387 hectares of reclaimed land bounded by 9.1km of caisson walls. “The latest innovations and technologies, such as E-cranes and reclaimer barges, will be employed to maximise the use of dredged materials for filling above sea level. When fully developed by the 2040s, Tuas Terminal will be able to handle up to up to 65m TEUs annually,” it added. MPA also renewed its MOU with the Research Council of Norway (RCN) for the seventh term for three years till 2021. MPA and RCN will work together in maritime R&D, education, and training in the areas of Maritime Safety, Maritime Operations, Maritime Information and Communications Technology, Maritime Environment and Sustainable Energy Technology, and Offshore and Marine Engineering. Both parties will also jointly organise the International Maritime-Port Technology and Development (MTEC) and conduct a Norway-Singapore joint call for proposals. “Since the MOU was first signed in 2000, 19 joint projects have been completed and four are still ongoing,” MPA said. Meanwhile, MPA has awarded the Maritime Innovation and Technology (MINT) Fund to the consortium of ST Electronics and Kongsberg Norcontrol (Norway) to pursue the Next Generation Vessel Traffic Management System (NGVTMS) Innovation Programme. 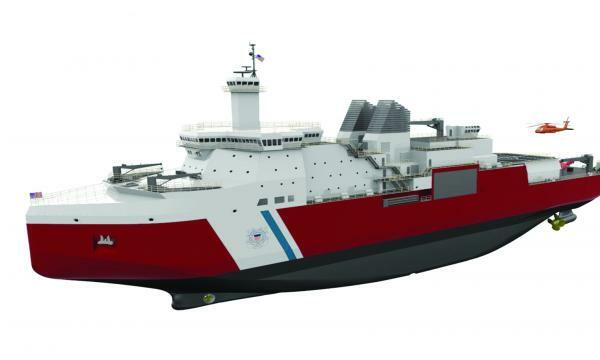 This consortium will co-invest about $9.9m (US$7.5m) to set up a NGVTMS Lab which will seek to set new frontiers for navigation safety and security as well as to improve the efficiency of maritime operations. MPA will also be partnering the Finnish technology group Wärtsilä Corporation to “promote the development of maritime technologies in the areas of digital acceleration, cyber-physical security, and intelligent vessel and port operations.” It said Wärtsilä will mentor startups, and pursue innovation collaborations in Singapore with institutes of higher learning and the maritime community. Moreover, NUS Enterprise is collaborating with PortXL, a maritime-only accelerator with offices in Rotterdam and Singapore. The collaboration rides on the back of NUS Enterprise and MPA’s previously announced Maritime Technology Acceleration Program, known as PIER71 (Port Innovation and Ecosystem Reimagined at BLOCK71). Keppel Offshore & Marine (Keppel O&M) and the Technology Centre for Offshore and Marine Singapore (TCOMS) will also be MPA’s partners for the joint development of autonomous vessels capable of undertaking harbour operations such as channelling, berthing, mooring, and towing. 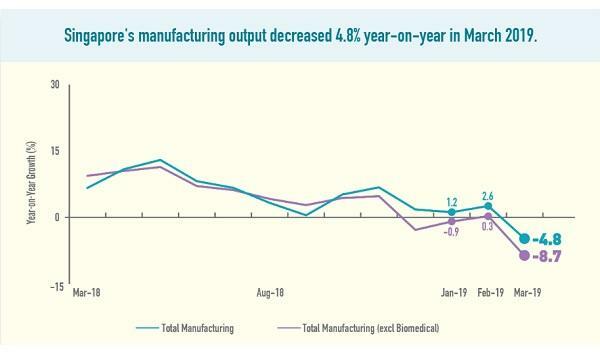 In a separate announcement, Keppel O&M said it will use its remote vessel monitoring and analytics programme, VesselCareTM, as the base platform in the initial phase to develop autonomous vessels. "VesselCareTM is able to perform data consolidation, condition based monitoring and maintenance, mining and analytics of vessels," the company said. In addition to the above MOUs, MPA has also inked a Memorandum of Intent with eight classification societies on the development of the Singapore Maritime Data Hub (SG-MDH). The eight classification societies are American Bureau of Shipping (ABS), Bureau Veritas (BV), China Classification Society (CCS), DNV GL, Korean Register of Shipping (KRS), Lloyd's Register of Shipping (LRS), Nippon Kaiji Kyokai (NKK), and Registro Italiano Navale (RINA). All eight are members of the International Association of Classification Societies (IACS). The SG-MDH is a one-stop data repository with a centralised application programming interface gateway and data management capabilities. “This will help enable the development and test-bedding of innovative digital apps and services for the maritime industry. SG-MDH will also serve as a collaborative platform for technology companies, startups and maritime stakeholders to co-develop innovative data-driven maritime solutions, support projects under the MPA Living Lab and enhance connectivity among key stakeholders in the maritime logistics ecosystem,” MPA explained. Lastly, MPA will also be launching the MINT Fund Call for Proposals and the Smart Port Challenge in June 2018.